When the 2015 pre-season started we only had 12-13 players left in the squad. Some players from last season were injured, some had completed their studies and moved back to their home cities and some players wanted to change club. The last season was so hard that even our captain decided to move to another division 4 club, he just couldn't imagine being the captain and take the responsibility to save this ship. I sat down and talked to Sebbe and we decided to try to save this ship from sinking, we had during the last 8 years given so much for the club and didn't want it to end like this. Since the captain abandoned the ship and many of the crew leaving as well, it was up to me, Sebbe and the guys who really cared about the team to do our best to save what was left and keep the ship floating. We decided early on to change our criticized bad home field to artificial turf and also practiced the whole pre-season on artificial field. When things looked really bad and it was hard to keep up the motivation of the players, we got some luck. A friend that works with a division 2 club here in town gave me the contact info to Rayner who had two players who wanted to try with the team. Two brothers from Portugal, two players that showed good qualities and mostly important, heart! 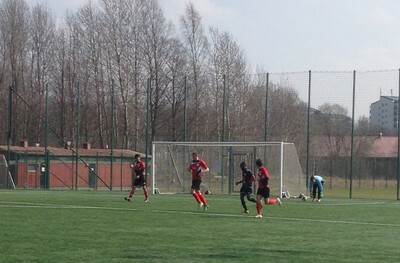 They started to play in the friendly games, but in the beginning it was still hard for the team. We had too many weaknesses and it wasn't enough with just two new players to repair the damages. But still it gave hope! First game we played in the pre-season was against a division 5 team and that game wasn't good at all, we couldn't create many chances, performed weak in defending on set pieces and we lost that game 2-4. 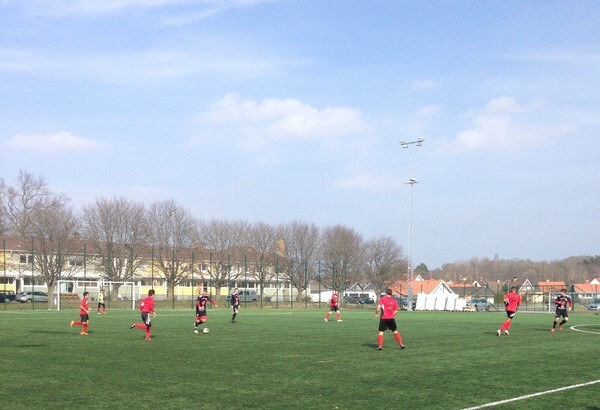 The second game was also against a division 5 team but a weaker team in that league. We still showed a lot of weaknesses in our defense, however our attacking game started to work better and we could win the game with 4-3. 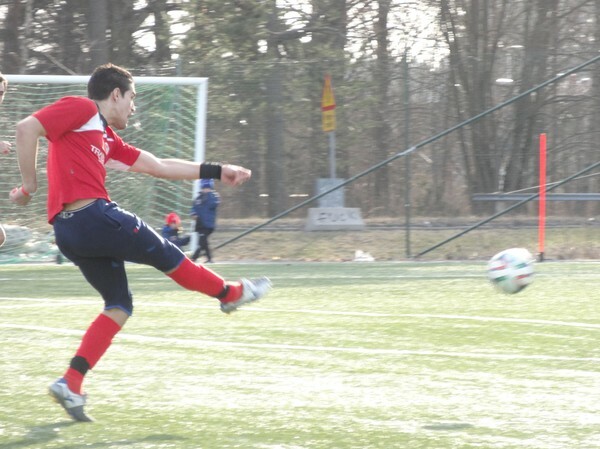 The third pre-season game was against a division 4 team. This game was a chance to see if our team could hold in to a team at our own level. We played much better than previous games and the attack looked good as well. Unfortunately we still had some difficulties in the defense and lost the game 4-5, but we were finally going in right direction according to the plan. Fourth game in the pre season was against one of the best teams in division 3. In this game we could for the first time see how great our team can perform if we stick to the instructions and play together as a team. We did a great first half and created many opportunities to score and were also defending in a great way and went to a half time break with 0-0. Unfortunately all our energy was consumed in the first half and we received 4 goals in second half and lost 0-4. But this was the turning point and the self-esteem came back to our players. For the first time in a long time the confidence was back and we started to believe that we can manage to play good football.